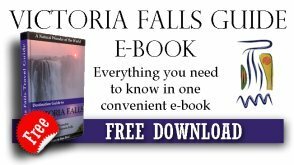 Above the Victoria Falls is a calmer portion of Zambezi River where one can go and have en exciting experience fishing for Tiger fish. These elusive fish require a bit of skill to catch as they are quite aggressive - which is part of the thrill. Also, they can grow as big as 33lb (15kgs) so you could be in for a big fight. 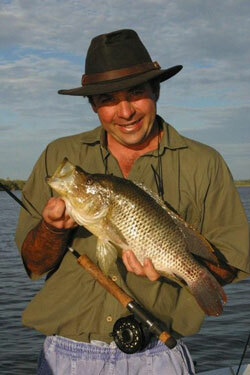 The Zambezi River has over 75 fish species but the most sought-after of these is the Tiger Fish. You can also find African Pike, Barbel, Upper Zambezi Yellow fish, Bream or Tilapia while on your fishing trip. Spinners and lures are the most common method of catching these fish although using light tackle, a fly and a fly-rod is becoming very popular and brings an extra dimension to a very exciting sport. The pickup times for fishing trips are 06h30 and 13h30, and drop off at 13h30 and 18h30 respectively. •	Sunscreen - You may feel the cool in the Zambezi breeze but the sun gets very hot out so make sure you are covered, even with a long sleeved shirt. •	If you plan on being out at sundown, make sure you have your mosquito repellent because this is when the mosquitoes come out in full force.